Ah, meatloaf—the king of comfort food! And since the royal party would be incomplete without creamy mashed potatoes and veggies, we added those too. 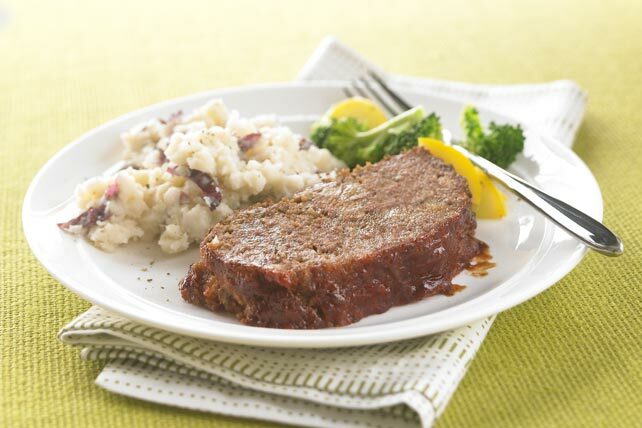 The star of the show: a quick and easy meatloaf! Watch our video for the secret to creating a tender, juicy loaf. (Hint: It's all in how you mix!) Hungry for more tips? We wrote an entire article on how to make perfect meatloaf. Fallen into a steamed broccoli rut? (It happens!) 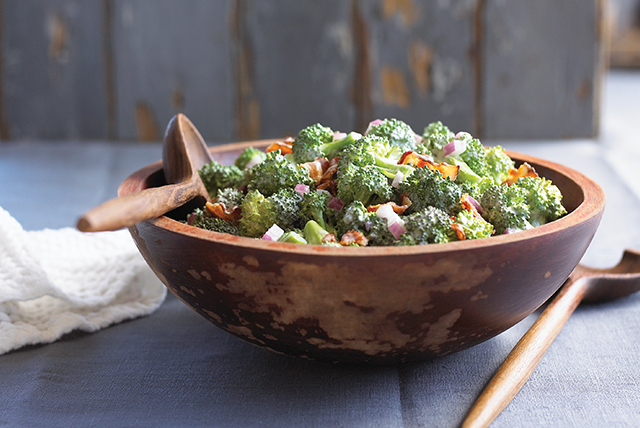 Shake things up by serving a tangy, bacony broccoli salad. Need a little storeside help selecting the freshest florets? Find all the details in our broccoli produce guide! Serving meatloaf without mashed potatoes might lead to a family revolt. Dish 'em up the easy way with this creamy make-ahead version—they're fine for up to 2 days in the fridge! Prefer your taters unmashed? 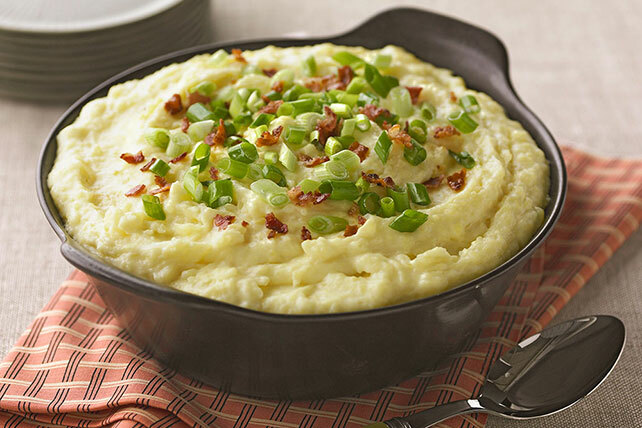 Check out our variety of potato sides.